Waterways Ireland is being forced to pay €2 million to dredge the River Finn to Castle Saunderson. 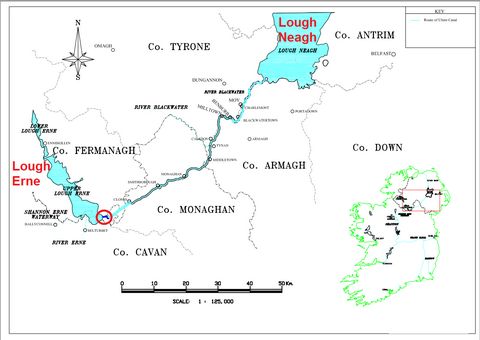 This new sheugh is to be called the Ulster Canal. Waterways Ireland’s wicked stepmother, the Department of Arts, Heritage and the Gaeltacht, has failed to convince the government to come up with any money to fund this insane project. It has therefore decided to force Waterways Ireland to pay for it, at a time when WI’s budget has been cut by 31% over the past six years. 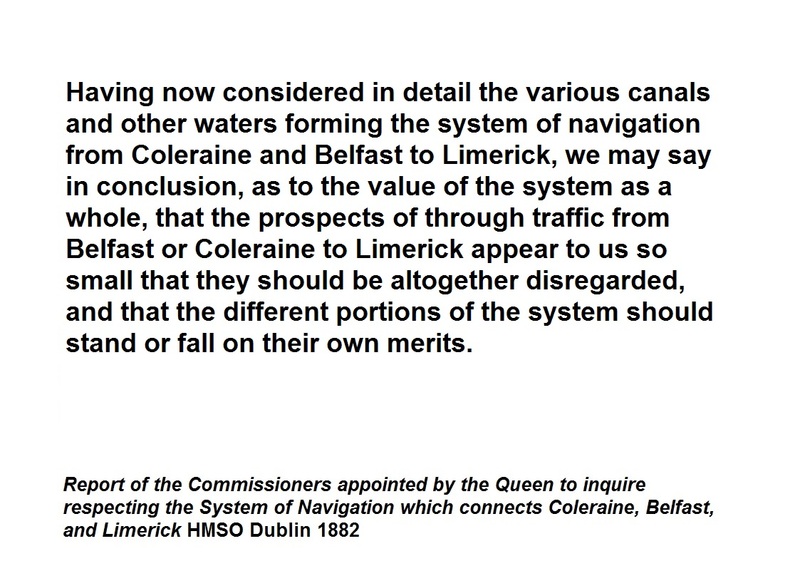 That suggests to me that the parent departments, DAHG and the Northern Ireland Department of Culture, Arts and Leisure, are prepared to let the other waterways go hang in favour of a pointless extension of the Erne navigation. As the project will be funded from Waterways Ireland’s own resources, additional Exchequer funding will not be required. 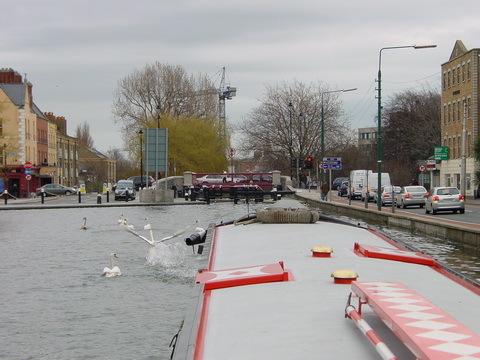 Not that Waterways Ireland has any spare money, and it has very few surplus assets. 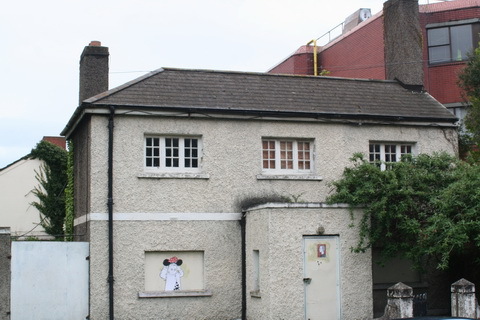 Some years ago DAHG’s predecessor proposed to sell Plot 8, in the Grand Canal Docks at Ringsend, to fund the Clones Sheugh, but the property collapse put a stop to that. It’s still the most valuable saleable asset and it was never clear to me how the property of Waterways Ireland could be seized by its wicked stepmother. the Hatch Bar, which I presume to be the one at Hazelhatch [is there another? ], valued at €45,000. 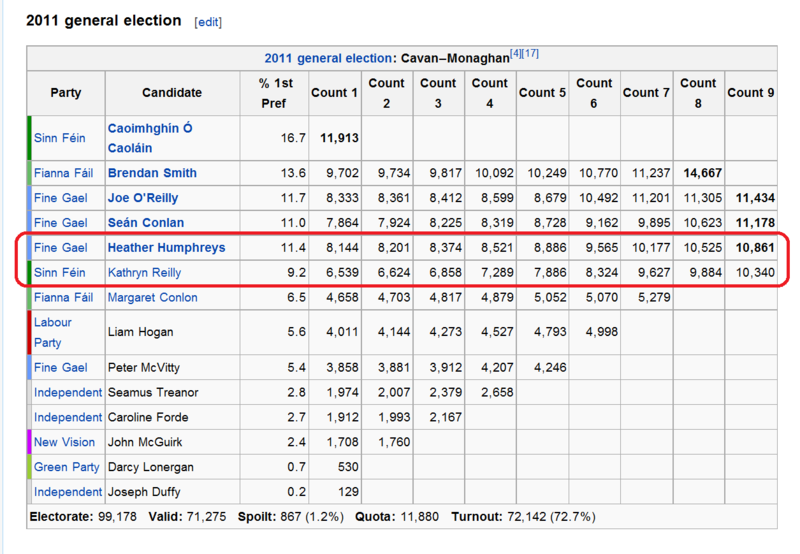 And that lot adds to €890,000. Add a few quid from the recent sale of old barges and you’ve got €900,000. Given the details of the Hatch Bar in this Lisney PDF, I presume that what Waterways Ireland is selling is the freehold [but I’m not sure about this: if, Gentle Reader, you know more about it, please leave a Comment below]. Whoever buys it will have the satisfaction of knowing that they are helping to dig a ditch in Co Cavan. I noted recently that, according to the Department of Arts Heritage and the Gaeltacht, Waterways Ireland’s budget for the Clones Sheugh assumed a cost of land [including legal costs] of just over €52,500 per acre, when “the majority of [the land] is poor quality agricultural land”. I have asked Waterways Ireland for more information about this. But today [as I am sure all regular readers will be aware] the Irish Farmers Journal Agricultural Land Price report 2014 has been published. It says that the average price of Co Monaghan land (based on 25 completed transactions) was only €9384 per acre, with a range from €1049 (for a 43-acre lot of which 12 acres were bog) to €40000 for land with development potential near Carrickmacross. A 25-acre “holding of prime agricultural land overlooking the lake at Emyvale” went for €14800 per acre and the county’s weighted average was €8103 per acre. In Fermanagh, in Northern Ireland, the average price was £7493 (€10126) per acre, but “Lots of poor, rocky and heather land sold for around £1700/acre”.